The Total Money Makeover is one of Dave Ramsey’s New York Times best selling books. If you have heard of the weekly Dave Ramsey shows, you should be quite familiar with the ideas behind this book. The Total Money Makeover is basically a distillation of his philosophies into the form of a self-help book. It’s aimed at the common folks who want to start managing their finances, instead of savvy investors who want to learn more about the intricacies of investments. For one, this book is more similar to other motivational self-help books like Steven Covey’s the “7 Habits of Highly Effective People”, than to technical financial books such as Benjamin Graham’s “The Intelligent Investor”. With that said, if you are someone who is just starting to learn the ropes of your personal finances, you will like this book. However, if you know how to manage your own finances, or a seasoned investor looking to expand your financial knowledge, you may find this book a little bit too fundamental. Of course, with Dave Ramsey being a New York best seller and the host to his extremely popular Dave Ramsey’s show, we can be sure that his philosophies has its own appeals. He’s a strong advocate of the “no debts” perspective, and this idea is presented consistent throughout the whole book. If you have been using credit cards your entire life and can’t imagine living without one, you are in for a whole new perspective on personal finance management. What to Expect in The Total Money Makeover? The first few chapters of The Total Money Makeover reiterates the Dave Ramsey personal finance philosophies of avoiding debts at all costs. It details the money myths that most people have and the psychological hurdles that prevent us from building wealth. The Total Money Makeover explains that denial is a big financial hurdle to building great wealth. Many people simply deny that there is a problem with their personal finances by spending as much as they earn, if not more than they earn. This denial is partly perpetuated by the Western culture that having debts is healthy and completely normal. Dave breaks the myth down with his reasons of going debt-less, and shows how debts can quickly pile up to unmanageable levels using various examples. If anything, the book certainly gives a compelling reason for you to get out of debts as soon as possible. The Total Money Makeover also reveals most adults’ desire to keep up with the Joneses. Many of us get into debt because we want to fit in to our friends and neighbors. In fact, your “wealthy” friends and neighbors are most likely in as poor financial shape as you are – they are saddled with tons of debts but they put up a good front. This is a very useful book, in the sense that it gets you all motivated to fix your finances, and the practical steps you can take to achieve your goals in small steps. The Total Money Makeover offers a 6-steps guide to achieving Financial Freedom. In the book, Dave goes in great details on how to achieve each step, and include interview transcripts of common folks who successfully follow the steps to transform their personal finances. Step 1 – Develop a budget. This is kind of a staple in personal finance books. You see it in almost all personal finance guides, and it’s because this is an essential step to get your personal finances going. Dave explains why you should have a monthly budget, and provides a guide on how you can set yours up. Step 2 – Get your accounts current. Depending on whether you are a delinquent on your debts, Dave says you must get your accounts current before you do anything else to improve your finances. Debts are the number 1 factor that prevents you from building wealth. Step 3 – Build a $1,000 emergency fund. As the name suggests, this fund is strictly used for emergencies only. This is an extremely important step, and Dave suggests that you take up a second job or even sell things off to save up the fund as soon as possible (sense the urgency yet?) This is the basis of your financial plan that keeps you in track and prevents it from failing in case an emergency happens, such as when you need money to repair your car. Step 4 – Pay off your debts. If you have credit card debts, student debts, personal loan debts, Dave says you must pay them off. Oh, except for your mortgage, you can pay that off as you have planned. But we don’t go about this without a strategy though. Dave advocates the “snowball” method, where you list down your debts from lowest to highest balance, and focus on the smaller ones first and staying current with the larger ones. This gives you enough motivations to stay on course and complete the step successfully. Step 5 – Build your real emergency fund. Once you are out of debt, it’s time you build your real emergency fund, which consists of 3 to 6 months of your living expenses. The $1,000 may tide you through some small emergencies, but bigger emergencies such as loss of job will require a much larger emergency fund for you to stay afloat. Step 6 – Start saving for investments and large purchases. At this point, you have a solid financial ground to build your investments for long term growth. Dave has his own takes in investments as well, and he talks about how to approach your retirement fund, and determine how much you need in order to retire. Should I Read The Total Money Makeover? If you are someone who can use some basic personal finance advice, I strongly recommend that you read this book. The book is written as a motivational and detailed self-help book, so someone who needs a push and a detailed guide to take charge of their finances will definitely find it useful. However, if you are a seasoned investor and an expert in managing your own finances, you will find it almost too basic. 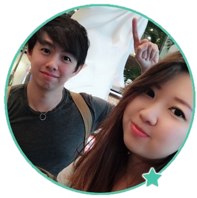 The Total Money Makeover plan is as simple as it gets, but with some interesting examples and testimonials. You get to see how people from different walks of life benefit from every step of the financial makeover. I enjoyed reading the book, mostly due to Dave’s interesting writing style that departs from the more conventional, dry personal finance books. There are not much number crunching that you need to do, and it gets the message across clearly. It seems like a very interesting read but I was wondering what sector of the money market it is aimed at. Would you say it has some value to people that are just starting off their own business etc? I mean, the accounts side of things and being realistic with your overheads and backing? I enjoyed reading the Dave Ramsey case. Your breakdown of his book made it very simple to understand. I really liked his idea of the $1000 emergency budget. It is something that I have never really thought about before but it is in my mind now. Also budgeting is so important! Thank you! Hey Blake, glad you liked it! 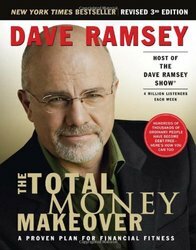 Great review on The Money Make Over, by Dave Ramsey. I think I am going to look into purchasing this since I need to know the fundamentals of financial matters. Glad to see I can purchase it right at Amazon I do not have to look any further. Enjoy reading the book! You’ll learn a lot from it. Thanks for your review of the Total Money Makeover. I must admit this has got me thinking! I know Dave Ramsey has been around for absolutely ages and has written a ton of books over the years. I however have not read one of them. Have you read other books by Dave, would you say that this is the best one to go with? Can you recommend any others? I’ve also read Financial Peace Revisited by Dave Ramsey. It’s another great book by Dave Ramsey that gets you thinking about the way you treat your money, and worth revisiting from time to time. I’ve compiled a list of personal finance books I’ve read and found helpful here. If you are getting started with personal finance management, you won’t go wrong with Dave Ramsey’s series or Robert Kiyosaki’s Rich Dad Poor Dad series. These are the 2 series I got started with and ignited my passion in personal finance management. I have come across The Total Money Makeover on more than several occasions, but the Dave Ramsay show is something I have yet to tune in to. This guy certainly sounds highly successful, and I’m actually quite a big fan of motivational reading material. I have also read Steven Covey’s book, and I loved it! I could certainly use some finance advice, so The Total Money Make Over is right up my street! Thank You for a great review. I’m a big fan of personal finance and self-help books too! Every book offers something different and The Total Money Makeover is one of my favorite due to its simple and straightforward approach.